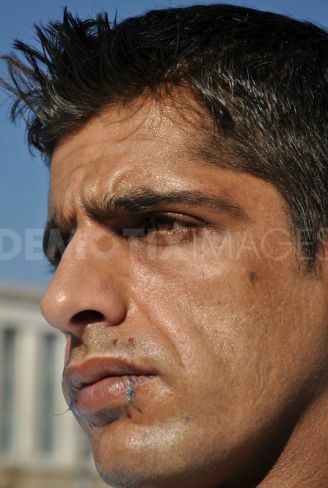 UPDATES: January 19th, 2011: Two more Afghan people have sewn their mouths and are on hunger strike in Propylaia from today morning. 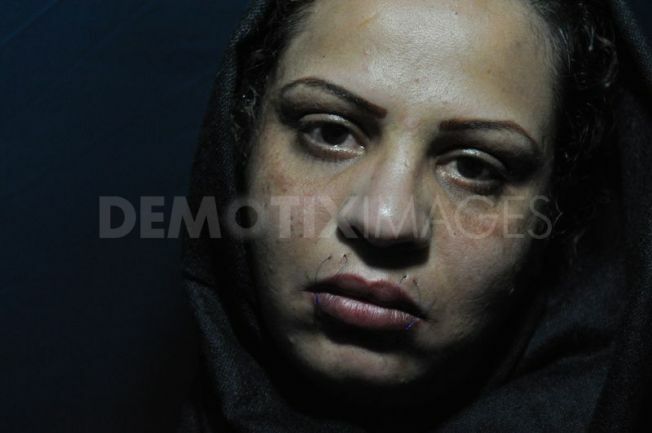 UPDATES: January 20th, 2011: One more Afghan woman have sewn her mouth and she is on hunger strike in Propylaia from today. 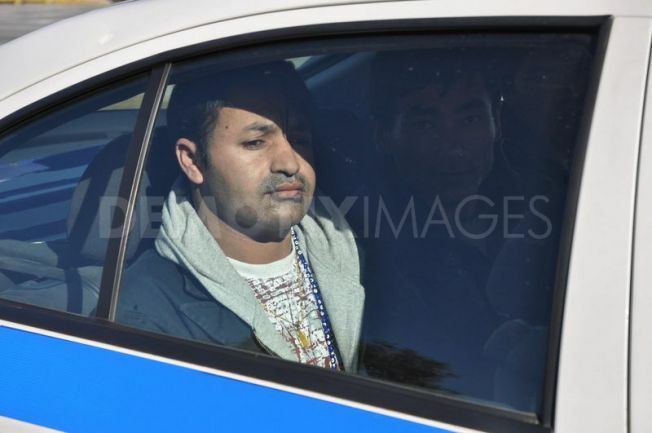 // Afghan refugee Waahide Rasuli 25y.o. and mother of 3 kids, in her tent. They came with the municipal councillor of the city of Athens, Petros Konstantinou and Naya Vartzeli, doctor and member of the General Assembly of ADEDY. 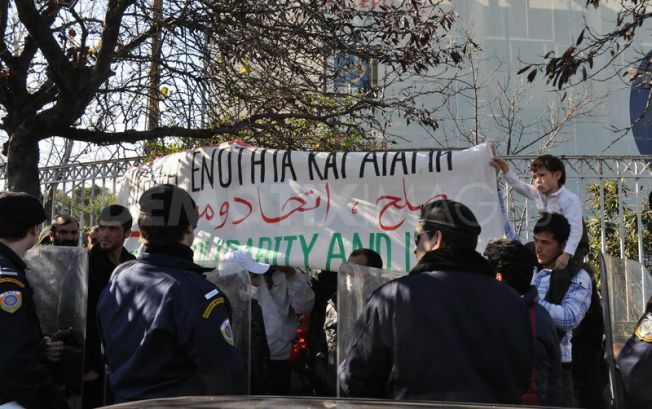 Riot police surrounded them and prevented them from going to the Department of Citizen Protection, where the delegation would seek an urgent meeting because of the health status of strikers. “What is happening? What is going on?” asks a young woman looking shocked and slightly fearful. “It is a quiet area, its unusual this is happening here. In the centre [of Athens] yes, but not here”, she says, gesturing at the immaculate tree-lined streets leading up to the Greek ministry for citizen protection. What had unsettled the woman was that about metre from where she was waiting for a bus, at least 20 armed police officers had formed two semi-circles around 15 Afghani men, women and children preventing them from leaving a small area of pavement. Ten of them were blue-uniformed ordinary officers with flat caps, riot shields, sneers and cigarettes – they formed the inner circle around the Afghans, stopping them from leaving the tight space (in England, they call this kettling, a controversial method used by the police to control large protests). 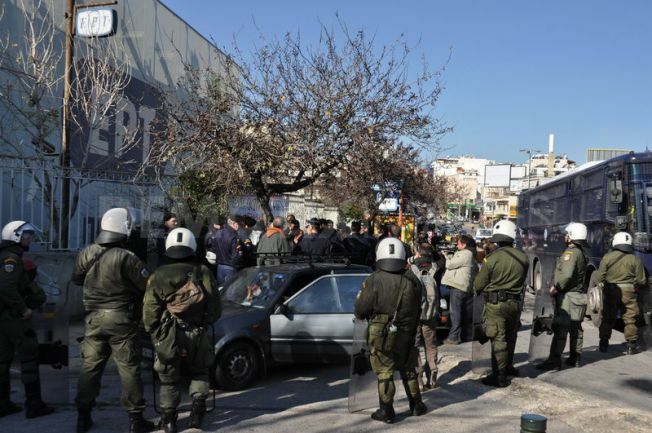 The outer ring was made of 10 riot officers in green khaki and wearing heavy black boots and protective knee pads. 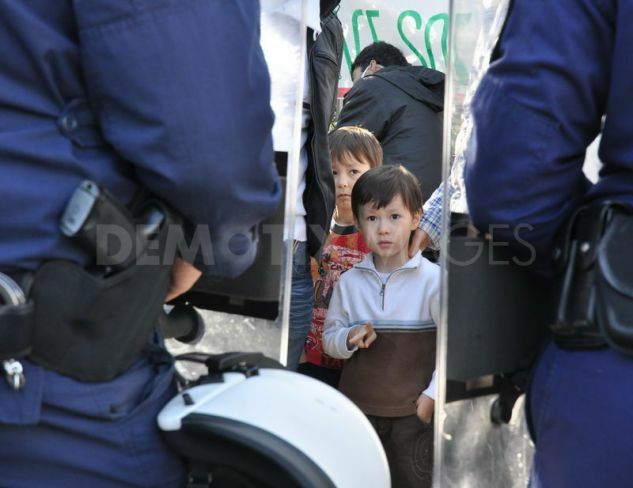 They wore helmets with shields and carried guns and canisters of tear gas. Having got caught in the kettle myself, I was quickly let out when I told them I was journalist. When I started taking pictures, a couple of officers started yelling for me to stop. Why? I asked. “Because the government says,” he said. Expecting trouble? I ask the police officer in charge. “We thought there would more of them,” he shrugs apologetically. “Since we’re here, we might as well stay.” He looks nervous as a Greek TV crew turns up. 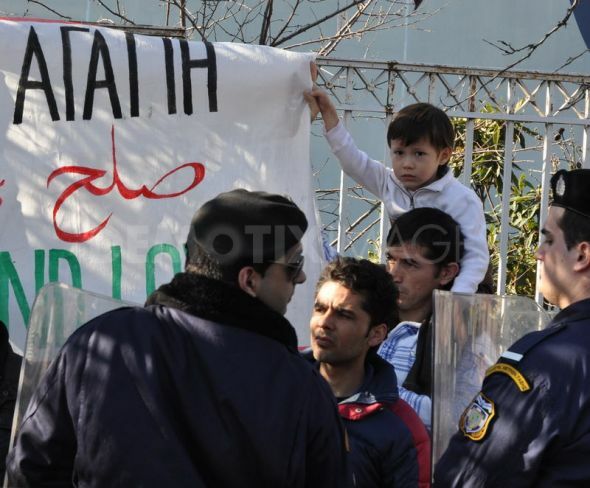 The Afghans are asylum seekers caught up in Greece’s notoriously slow asylum system (what system? One Greek journalist tells me, exasperated. That’s the problem, we don’t have one). 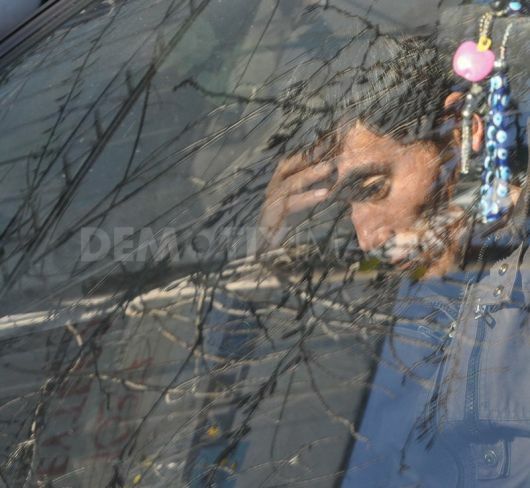 They were on their way to a meeting with the minister to present their demands: that their applications for asylum are looked at. The 15 represent a group of about 100 men, women and children, some who have waited years to have their applications looked at. The government must make it hard to get asylum in Greece, if it is easy everyone will come here, one sympathetic Greek activist tells me. But despite the horror stories, they are still coming. Between 75-90% of asylum seekers and migrants that enter Europe travel through Greece and most get stuck unable to leave except illegally. 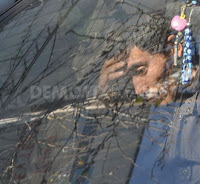 Just last weekend 22 – that’s the official number but sources here say it is closer to 60 – Afghans went missing after their boat (carrying more than 200 people) hit difficult conditions sailing from Corfu to Italy. One Afghan man I spoke to in Victory Square, an area heavily populated with migrants, said he was depressed about the news. 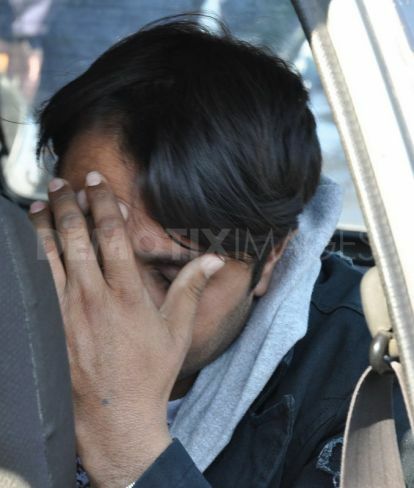 Not just because he had a friend on board, but because he had been hoping to leave Greece, where he’d been staying for 3 months with his wife and child. 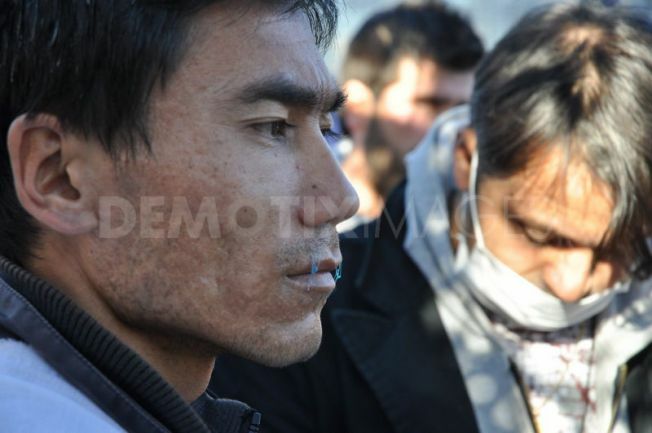 The 100-odd Afghans are hoping to avoid being smuggled out of Greece or deported back to their war-torn country and be granted asylum legally. 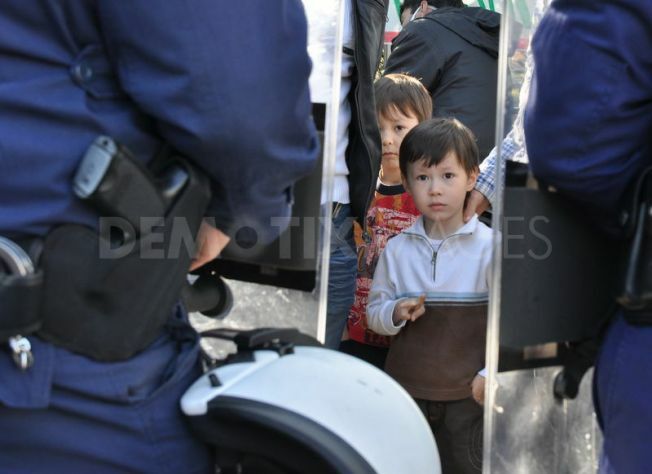 Since November they have set up a small protest camp outside Propylaea University in El Venizelou, a busy street forming part of a popular shopping district in Athens. 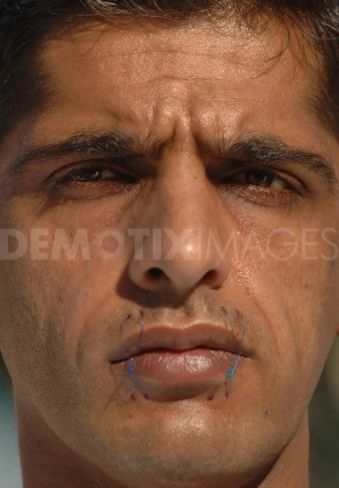 Since 29 December six of them have sewn their lips together and are on hunger strike. They are desperate. A representative from the ministry comes out and says five people can go in. 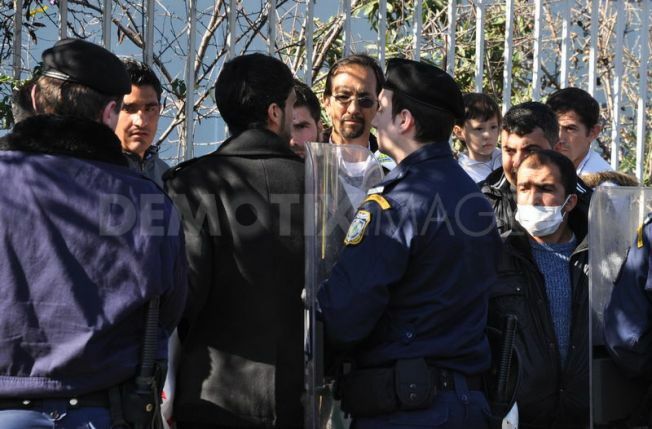 Three Afghans, Petros Konstantinou (an Athens politician) and a representative from a doctors union go inside. The Afghans inside the “kettle” look tired, but hopeful. 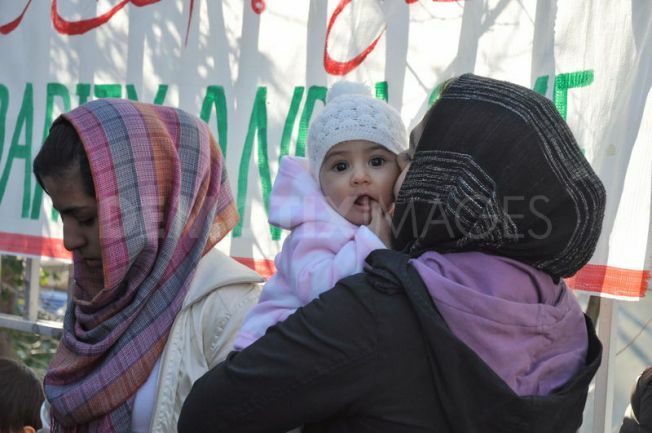 Reza is there with his wife and children including a 6-month-old baby daughter. 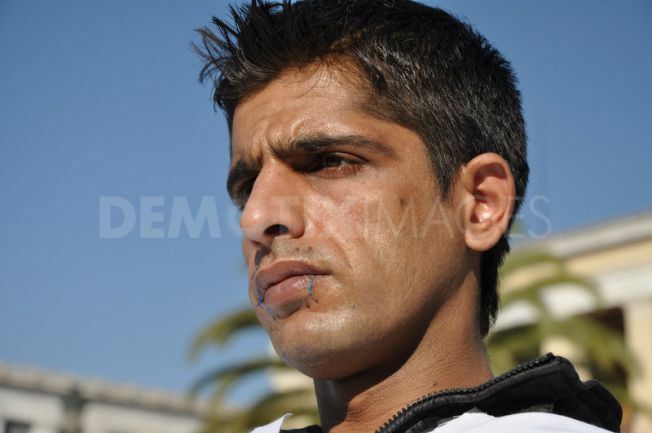 “We want to show that we are human and we are here in Greece,” he says wearily. “We didn’t know this would happen.” But Sam, a confident 25-year-old Afghan in a Nike hoody with a sticker saying ‘asylum is my right’, says, “We are not afraid [of the riot police] because we were in a bad situation in Afghanistan.” I suppose having someone from the Taliban running your village would be scarier than Greek police officers calling you “wankers” (translation from Greek) and sneering at you. After three hours, the five return with nothing. They didn’t get the meeting with the minister, but they met two senior officials who basically told them to wait until the end of month when the new asylum law (more on that later) becomes effective. 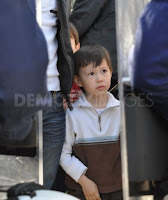 The hunger strikers and their supporters looked crestfallen. They have pledged to continue their protest until their applications are looked at. Three of their number had already been in and out of hospital. “They want to put the life of the strikers at risk,” Petros said. 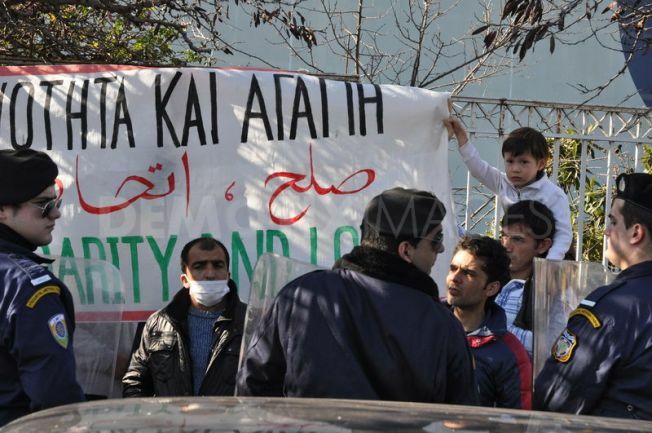 But life in Greece without papers, without work and without hope is worse and as I write this one of the Afghans calls to say two more people have sewn their mouths and are on strike. 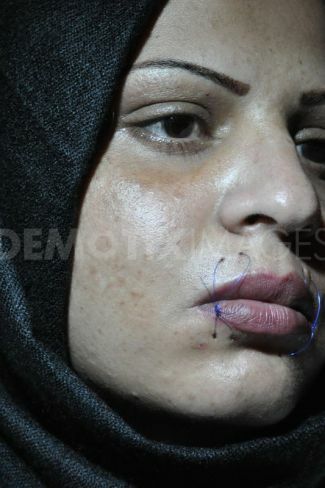 UPDATES: January 20th, 2011: One more Afghan woman have sewn her mouth and she is on hunger strike in Propylaia from today. 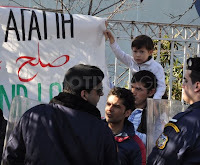 Afghan people are doing what they have stated from the beginning: they increase the participation in the hunger strike and the cruel action of sewing lips, because Greek state remains unresponsive.